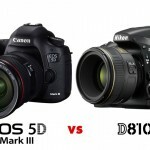 Home / Digital Camera Comparison / Nikon D4 vs D4s Comparison, what’s the difference? 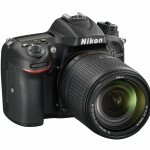 Two years after the release of the Nikon D4, Nikon has released its next-generation flagship DSLR camera, the D4s. Though the D4s does not differ much from the D4 in terms of appearance, its functions will definitely give you a new experience –the D4s comes equipped with an all-new image processor, the EXPEED 4, and emphasizes enhanced autofocus and video performance. The most obvious improvement brought by the EXPEED 4 image processor is the camera’s sensitivity. The D4s supports a sensitivity range as high as ISO 409600, has a continuous shooting rate of 11fps, and a more precise white balance effect. As to its video function, the D4s can record 1080 60p full HD videos at high-frame rates. The new 51-point autofocus system offers a new group-area mode, giving the user more powerful and varied autofocus options. We will compare the differences between D4 and the new-and-improved D4s through the following lists. The main additions worthy of our attention specifically include: The enhanced CMOS image sensor, the all-new EXPEED 4 image processor, a video recording function that supports high frame rates, the focus system’s additional Group-Area AF mode, and a newly-designed, high-capacity lithium-ion battery. Though the D4s does not look significantly different from the D4, it does have a slightly different menu. The Nikon D4s hosts a more sophisticated menu, including a larger font. 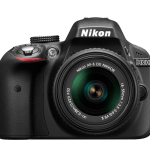 By looking at the overall content and arrangement of the menu, however, the D4s’s menu design has basically followed the traditional menu of previous Nikon DSLR cameras. The biggest regret in the D4 was the fact that it supported 1080/30 HD format, and while this posed no problem for ordinary video production and shooting, it definitely did not satisfy the requirements needed to produce more professional videos. Regarding this hiccup, the new Nikon D4s uses a 1080/60p format which is very useful for shooting high-speed, high-quality scenes. Besides the four time-tested modes (Single-point AF, Dynamic-area AF, 3D-tracking, and Auto-area AF) offered by the D4, the D4s also provides a fifth AF area mode – Group-area AF (which basically works by using one focus point selected by the user, and four other points each above, below, to the right, and to the left of the selected focus point to focus). The said mode not only achieves smoother autofocus, but also allows for a faster work flow with the D4s performing at bursts of continuous shooting speed of up to 11 fps with AF and AE tracking. After using the D4s for a week, I felt that, with regards to more complicated subjects and slightly slower lenses, the Group-focus mode’s success rate at chasing and focusing on the subject is definitely higher than the previous 9-point area-focus. The chances of the camera focusing on the background have also gone down significantly as a result of the use of a new algorithm which, in turn, is due to EXPEED 4 image processor’s computing power. Other than that, the D4s is coming closer and closer to the Canon 1DX. Now, the user can choose to only enable frequently used focus modes, disabling other focus modes. Testing Method: Using the 70mm end of a 24-70mm f2.8G lens, with the camera set to the AFS mode with focus beep, I switched back and forth between a subject within one meter of the camera, and another subject five meters away. Using a stopwatch, I observed, for a total of 100 times, the total elapsed time taken for the camera to focus on the subject. D4, using the Single-point AF mode, used up 79 seconds. Though the speed of the D4s’s Single-point AF mode compared with the D4 has not experienced much improvement, the D4s’s group-area focus mode substantially increases the speed of taking subjects slightly harder to focus on. The principle behind it all is simply this: when the focus point chosen by the user is unable to cover textures easily picked up by the autofocus module, the autofocus module will use surrounding focus points to supplement the focused image. Personally, I think that this mode and the previous 9-point area-focus are not much different; the only thing altered is that the Group-area mode can now be used on AFS mode! Note that though the speed of the D4s’s Single-point AF mode compared with the D4 has not much improvement, the D4s’s Group-area focus mode certainly can substantially increase the speed of taking subjects slightly harder to focus on! The principle behind it all is simply this: when the focus point chosen by the user is unable to cover textures easily picked up by the autofocus module, the autofocus module will use surrounding focus points to supplement the focused image. Personally, I think that this mode and the previous 9-point area-focus are not much different, the only thing is that the Group-area mode can now be used on AFS mode! Nikon D4’s and D4s’s continuous shooting speeds are 10 fps and 11 fps respectively. In an actual trial, the results of the two cameras matched official statements. The bigger difference, however, lies in the cameras’ buffer capacities; the Nikon D4s’s fastest speed (around 80 continuous one-off shots) beats the Nikon D4’s speed by 20 shots. Needless to say, this improvement is relatively significant. GIF images made using continuous shots taken at speeds of up to 11 fps have outstanding coherency. Moreover, rapidly moving subjects and surroundings can be taken easily using continuous shooting (for example, photographing birds in action with the continuous shooting mode). Both the D4s and D4, respectively, use 100 ISO to take an underexposed raw image before using Adobe Camera Raw 8.4 RC to toggle shadows within the image. Clearly, the noise taken with the D4 tends to be more purplish, but it is up to the user to adjust the SNR value. We compare the image quality of images taken with Nikon’s old and new generation flagship DSLR cameras, the Nikon D4s and D4. Because the sample images taken with the D4 were taken a while back, sample images from both cameras were not shot under exactly the same lighting conditions. Nevertheless, we still can tell the difference between both cameras by looking through the sample images. In comparing image quality between both sets of samples, I turned off the noise reduction mode. Only by disabling noise reduction can we fully understand the true power possessed by these two flagship cameras. When both cameras’ sensitivity settings were set to the ISO50-12800 range, differences in image quality were not clear, nor was it clear to tell the details of each camera’s performance conditions. However, after we continued to increase the level of sensitivity, the Nikon D4s displayed its superiority. The D4, set at ISO 25600, started to blur the images slightly, and edges of the stars weren’t taken with as much clarity as with the D4s. As we raised the sensitivity levels on both cameras, images taken on both cameras showed slightly more noticeable noise. Though D4s’s images had a tad more noise than D4’s, we could see from the screenshots that the D4s’s ability to preserve details far surpassed the D4. To photographers who strive for detailed original shots, this feature is not only hard to come by, but also a handy weapon. The reason why the D4 produced much better image quality than its predecessor lies in the fact that it is equipped with the new EXPEED 4 image processor, while the D4 uses the slightly older EXPEED 3 image processor. The formidable EXPEED 4 not only allows highly sensitive images to appear more realistic, but also restores its original color, letting us shoot images with a greater ease of mind. Has there been an improvement in Low-light (Focusing) Performance? One of the biggest challenges in taking night-time portraits is the camera’s ability to focus under low-light conditions (previous experience tells me that this is closely related to a camera’s backlight performance). Low-light focusing has always been Nikon’s forte; will the D4s display greater improvements in this area? Using a 24-70mmf2.8G lens, and trying to focus in an extremely dark surrounding, I tested how well the D4s and D4 could focus on a texture with an exposure of f2.8, 25600 ISO, 1/6 second. The surrounding I chose was so dark that if it were any darker the camera would even have trouble focusing. The results? There has yet to be an improvement in the D4s’s low-light performance. Visually, the D4s’s screen color does not differ much from the previous D4. Previously, many users complained that the D4’s screen color was greenish, and Nikon users envied 1DX’s screen effects. But now, Nikon users no longer need to be green with envy! Unlike the D4, the D4s has an added setting for users to adjust the screen’s tint. Drawing close to Canon: D4s now supports S Raw format images with a resolution of 2464×1540, 400w full-frame pixels. This format is undeniably very useful for journalists who do not need to produce large images, lowering storage and period costs. However, according to test trials, under the present firmware, the number of continuous shots taken with this format is only half the number of continuous shots taken using complete RAW format. The Nikon D4s’s memory slots’ design is entirely similar to the D4’s: dual memory slots for one CF and one XQD card. With this, users have the ability choose a memory card. Plus, judging from official news, this product can support the latest XQD card. As to CF cards, the memory card slots can also support the latest UDMA 7 product. For its power supply system, the Nikon D4s uses a large-capacity, lithium-ion rechargeable EN-EL18a battery which has an improved capacity compared to the previous EN-EL18. There have also been slight changes to the battery charger. Through several tests, we feel that the Nikon D4s, a new-generation flagship DSLR camera, has embodied almost all technological advantages of previous Nikon DSLR cameras – its overall potential is not to be overlooked. Also, the functional upgrades of the D4s are effective and useful for journalists and professional sports photographers. In comparison with the previous D4 model, the Nikon D4s has improved markedly in its focusing system as well as image quality. Additionally, the D4s’s Auto White Balance appears to have gotten more precise. We feel that the D4s is better suited to photojournalism and sports photography, both of which require high-speed processing.